While April snow is nothing new, it is still not appreciated. 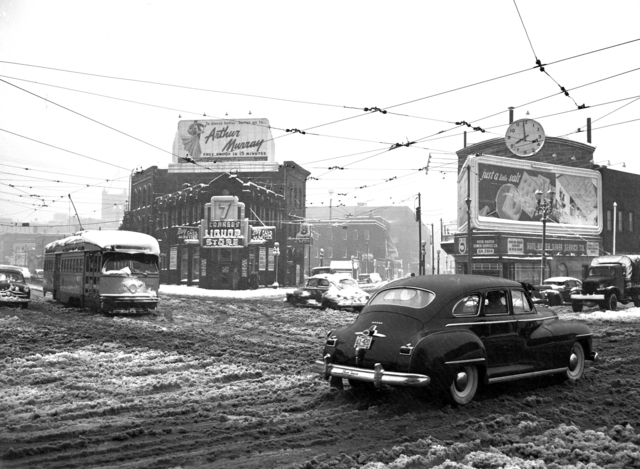 This photo is of a snowstorm scene at 7-corners in downtown St. Paul on April 14, 1949. It forms part of Minneapolis and St. Paul Newspaper Negative Collection.